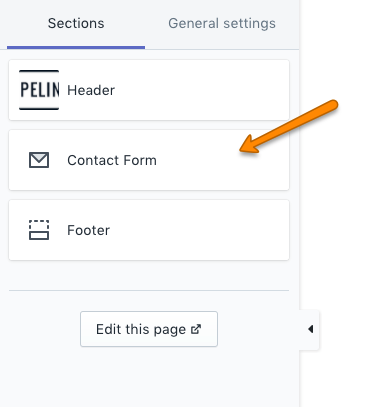 If you need the ability to add custom form fields in Pipeline, this tutorial will help you setup a new page template with custom form fields. 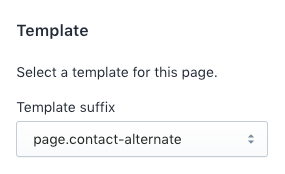 Use the Create section button to complete. 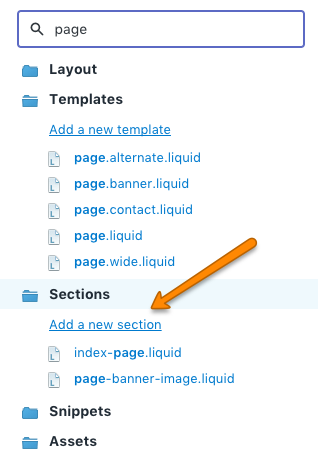 Tip: If you have content on your page like an introduction and then the form, use Option 1. 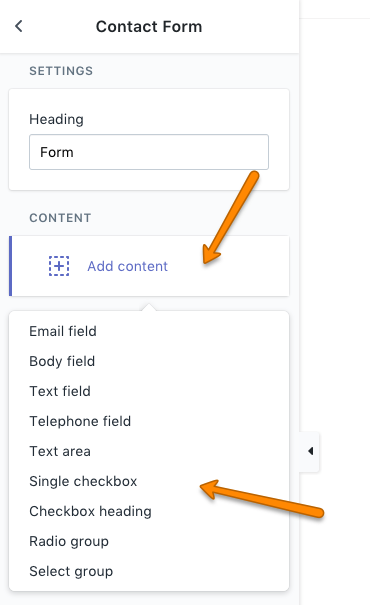 If you want to start with the form and then include a map or additional information, use Option 2. After you paste the code from the above link, press the Save button. 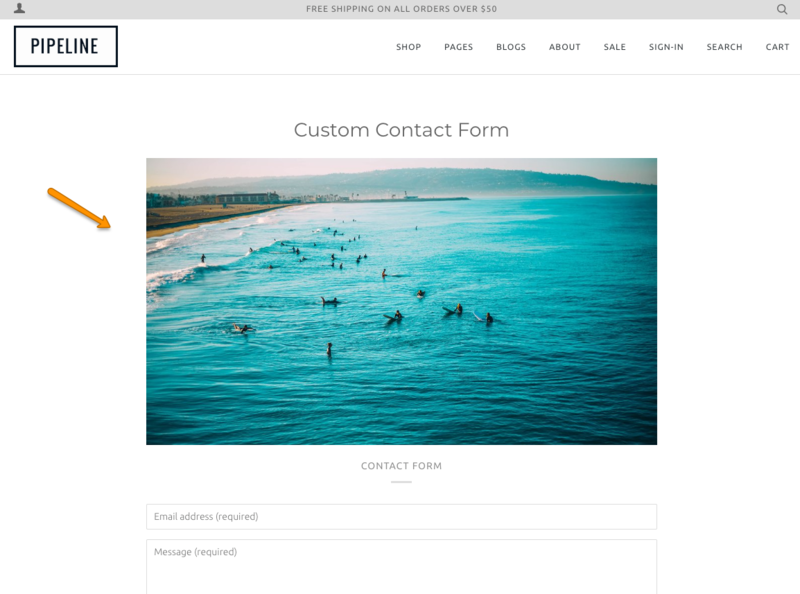 The left sections options will change, you should see the Contact Form section there to configure. 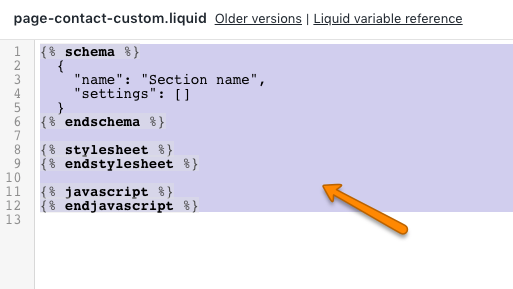 The drop-down allows you to add custom form fields. 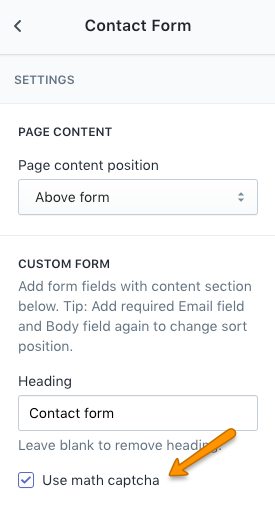 Your form must have at least the "Email field" and one "Text area". The rest are optional. 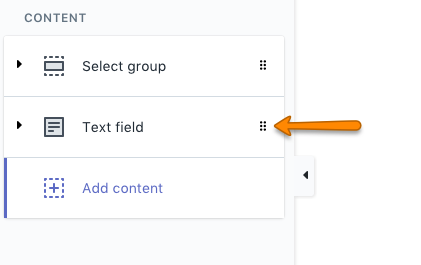 You can add multiple fields except for Email. Save your changes and test your form. 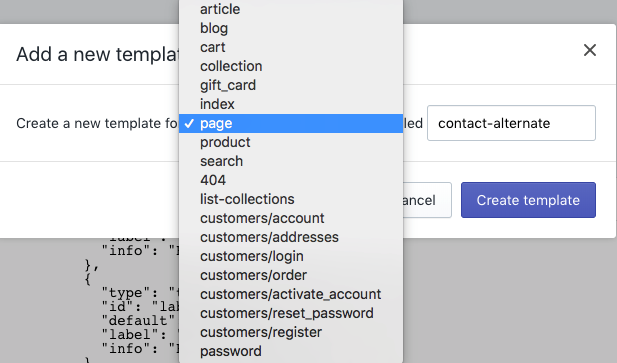 Emails are sent to the account setup in your Shopify account settings. 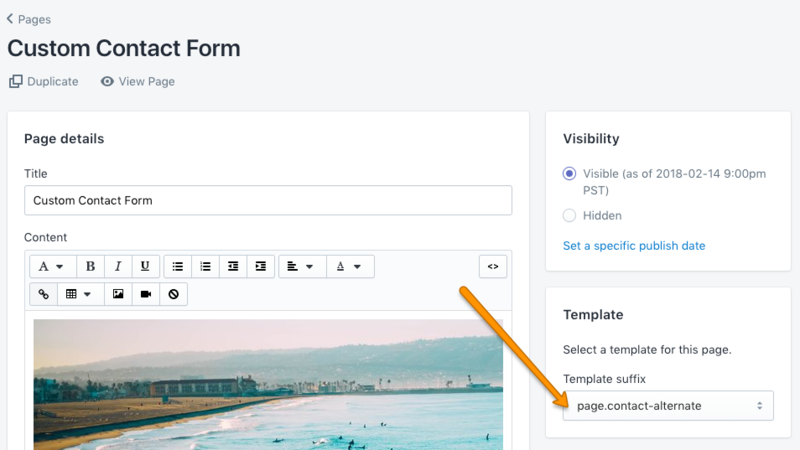 Be sure that you don't leave any label fields blank when adding your form elements in the Theme Editor. 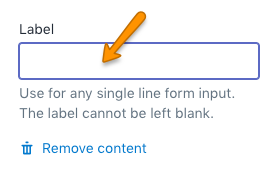 The labels are used to submit your form, a blank label will produce an error when trying to submit the form. 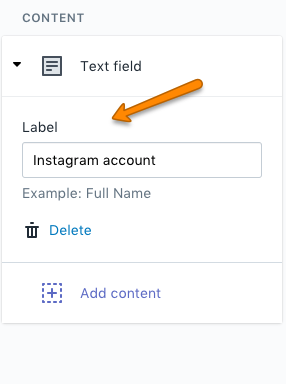 If this Label field is left blank, it will cause an error. 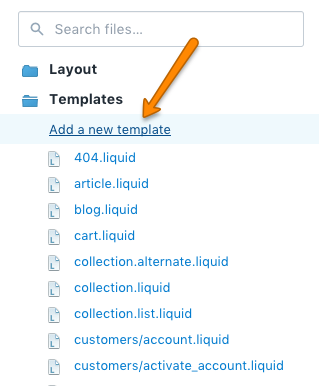 We've seen some merchants leave this blank and using the Checkbox heading as a title. 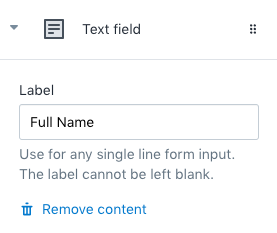 You can still use the Checkbox heading as a title but none of the label fields can be left empty. 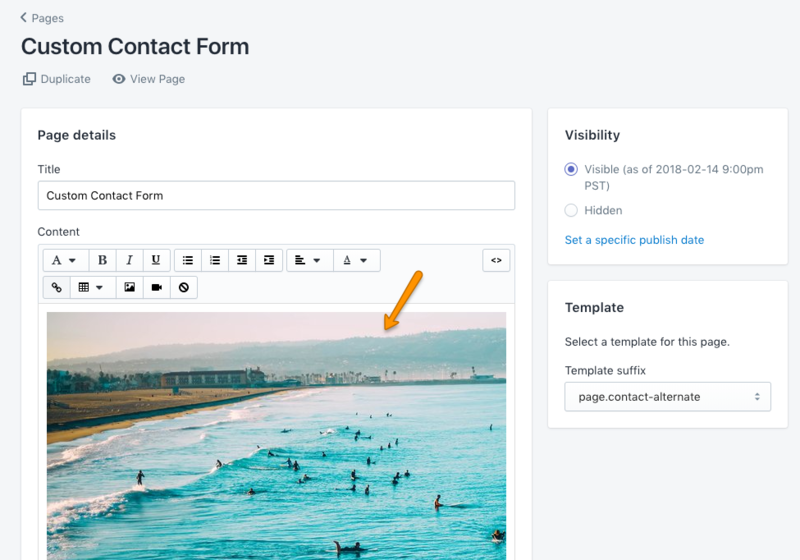 How to create a contact us page?